Working out is great, and we are not kidding about it. The key point lies in finding something that would suit you best. These days there are many workout routines and plans available, but unless you are an experienced fitness addict or work with a trainer on a regular basis, it may be difficult to come up with something that will turn out to be more than satisfactory in all the aspects. What is meant by aspects is the required time, strength and of course the result. Very often, we are limited in time, and that is what stops the most of you to stop thinking about regular gym workout. However, there is something called HIIT – High interval intensity training – and is going to be the main topic of our today’s discussion. The benefits of HIIT are the least amount of time required, limited equipment and of the result. 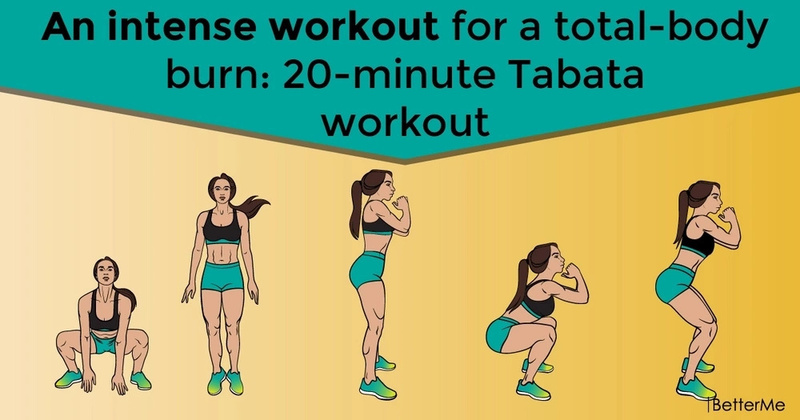 This Tabata workout routine that we have in mind will take only twenty minutes of your time and won’t require any additional equipment but your body weight. However, within these twenty minutes, you will work our whole body out, and that is exactly what makes this routine so special. Last but not least, no matter the effect of this routine you have to make sure that you monitor your diet closely otherwise ether may be no result at all. When it comes to weight loss and body shaping you should be aware that no diet is effective without the workout and vice versa.